The canal is approx. 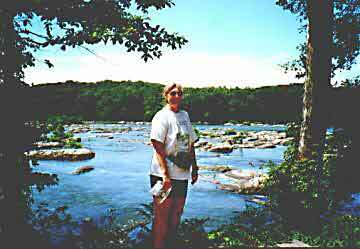 180 miles long and follows the Potomac River from Cumberland, Maryland to Georgetown, VA. We spent 2 days biking the 26 miles from Georgetown to above Great Falls. That’s 52 miles out and back. Maybe next year we’ll do the whole thing. 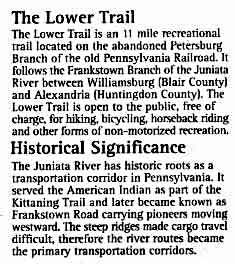 The left picture is the Potomac River along the C&O canal. 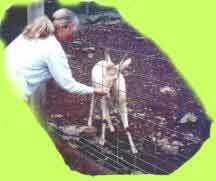 The right picture is an area where the rocks are too rough to ride. 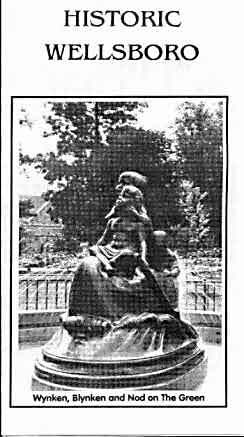 On July 10 we moved to Altoona, Pennsylvania. The main attraction there is trains. 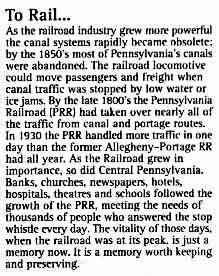 Altoona was the headquarters for the Pennsylvania Railroad. 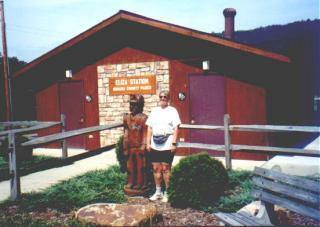 Judy really enjoyed watching the trains at Horseshoe Curve and at the tunnels. The train hobbyists bring their lunches and sit for hours watching the trains go by and listening to the engineers on their scanners. 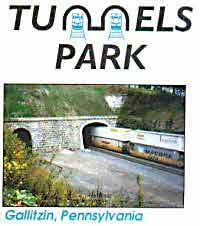 The area has a long history of train activity dating back to early 1800. 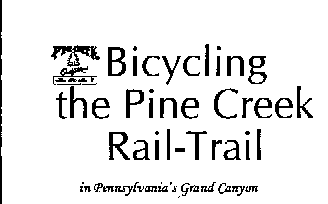 We spent a few days visiting the sites and biking on 2 of the rails-to-trails, The Lower Trail and The Ghost Town Trail. 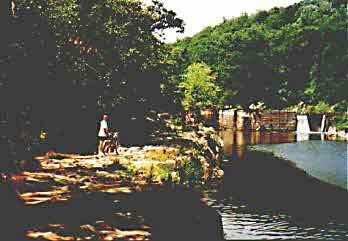 The Lower was a canal that was later converted to rail and now is a hiking and biking trail. Can you tell which one in the right picture is the coal miner? 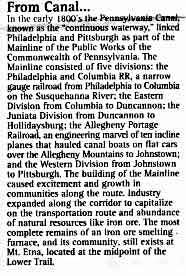 Johnstown is close to Altoona. 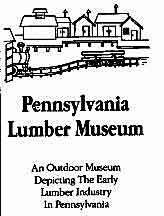 The Lumber Museum is near Wellsboro. 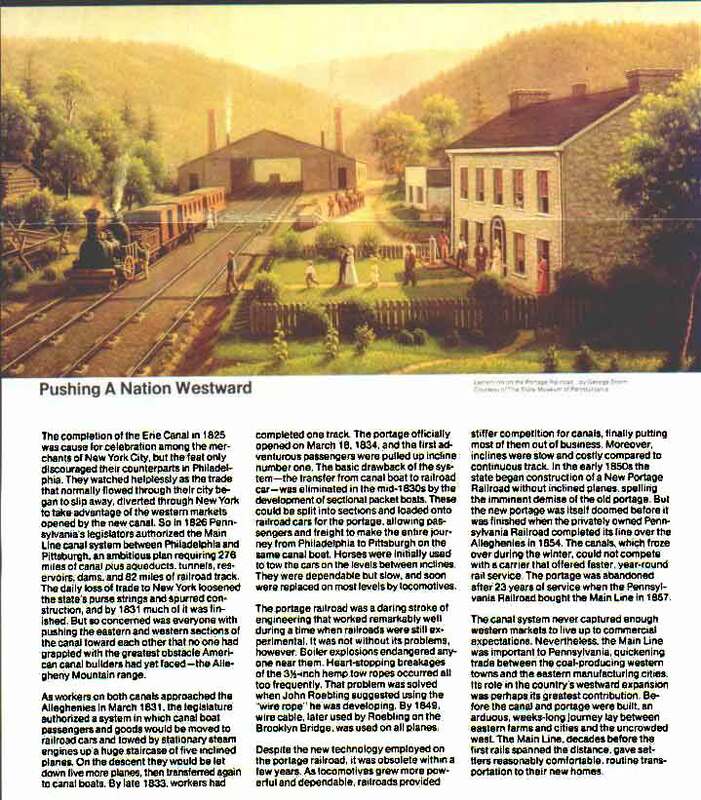 A section of the Portage Railway is now a national park and they have re-constructed the buildings shown in the drawing. 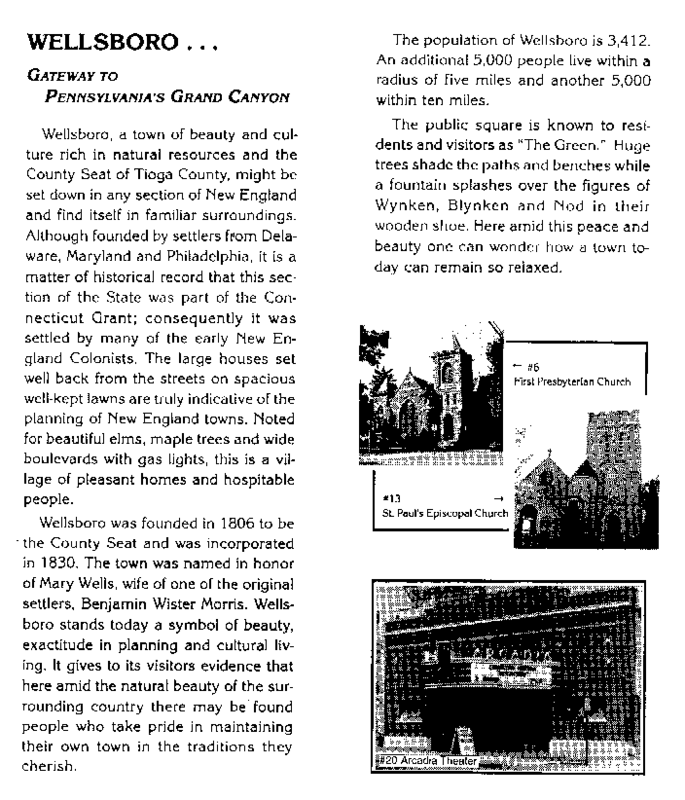 We left Altoona on the 15th of July and went north to Wellsboro, Pennsylvania. 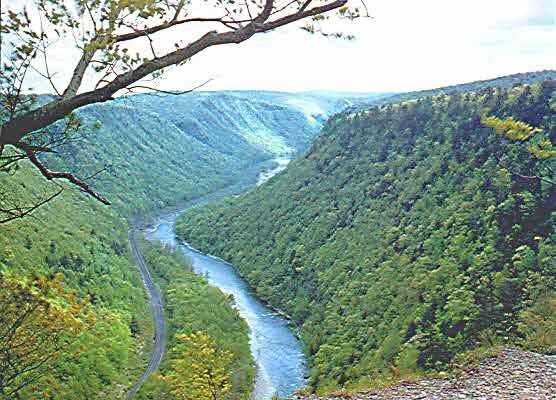 Our main reason for going here is the Grand Canyon (of Pennsylvania). 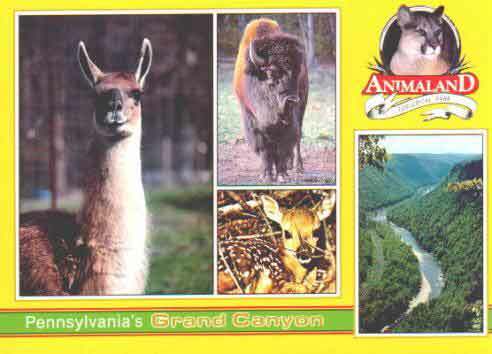 But next door to the campground was Animal Land. 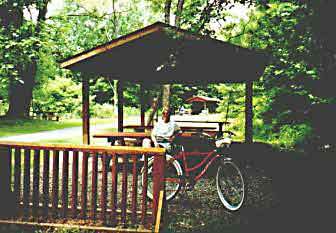 The next week was spent at Adele and John’s in Dushore, Pennsylvania. 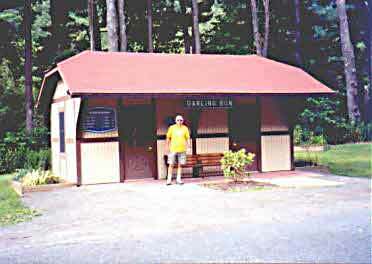 We stayed at World’s End State Park where we were last year. In the same spot even. Adele and John took us all over the area from lunch in Owego, New York, to a short hike (6 miles) in the Black Forest region of central PA.
Judy and John hiking in the Black Forest. Notice how well defined the trail is?? Adele, our leader, kept saying that it is only 1.5 miles as the crow flies. Our crow must have gotten lost because in 90 minutes we saw no sign of the overlook we were promised. But, never fear, we finally arrived (minus John who’s knee gave out) at the promised view. 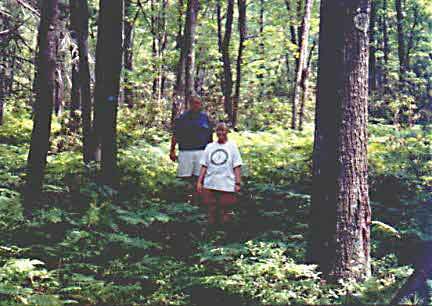 We were thankful for the numerous blueberries along the path until Adele informed us that bears like places with plentiful berries. 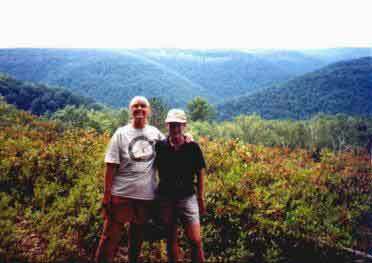 Adele and Judy did an overnight hike on the Finger Lakes Trail in New York. The second day brought them into Watkins Glen after passing Seneca Lake. Bob and John met them there, having spent the 2 days in meditation and fasting. 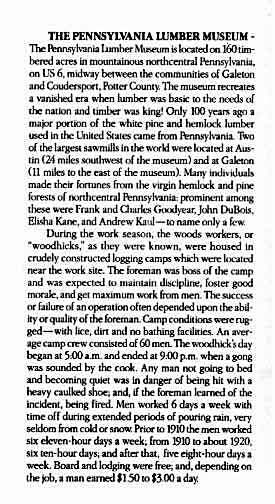 Actually, they went looking at campers and eating fattening meals. 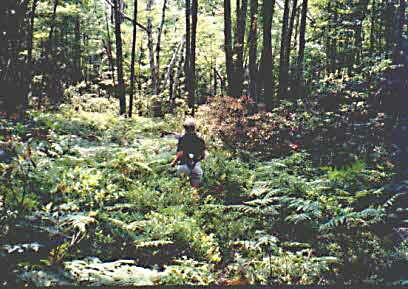 THE NEXT EDITION OF ‘THE ADVENTURES…’ WILL START WITH THE VERMONT HIKE.